The archive contains extensive material on the Tractarians and the Oxford Movement, the records of a number of Anglo-Catholic societies and monastic orders; letters and papers of numerous notable Anglican churchmen as well as memorabilia of Pusey himself. There is an unrivalled collection of theological and ecclesiastical controversial pamphlets from the nineteenth and twentieth centuries. 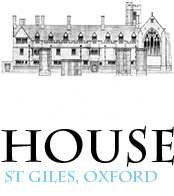 The manuscripts at Pusey House are almost all of the 19th and 20th centuries, and include, in addition to the records of the House itself, the papers of many important figures, organisations and societies connected with the Oxford Movement. The nucleus is an extensive number of papers collated, transcribed and, sometimes, bound for Henry Parry Liddon for his Life of Pusey, the manuscript of which is also held. Some of the autograph material which Liddon transcribed and returned to its owners has now been lost which lends the transcriptions an added importance. ​Finding aids to catalogued holdings are available in the reading room at Pusey House. Some PDF and/or text searchable catalogues are online. The Ollard papers comprise a significant collection. S. L. Ollard was a church historian and a canon of Windsor. His papers include his correspondence with, among others, W. H. Hutton, dean of Winchester, letters and manuscripts of major figures of the Oxford Movement - R. W. Church (including part of the manuscript of his History of the Oxford Movement); W. J. Copeland's Narrative of the Movement; John Henry Newman; F. G. Lee and the Order for Corporate Reunion. Most of the major c19th figures engaged in ecclesiastical affairs and controversies are represented, including Cardinal Manning, William Ewart Gladstone, bishops Alexander Forbes and Samuel Wilberforce and others. The most significant holdings apart from those of E. B. Pusey, H. P. Liddon and S. L. Ollard are those of Walter Kerr Hamilton, Bishop of Salisbury; John Henry, Cardinal Newman; Philip Pusey; Charles Marriott; the Earl of Radnor; R. W. Randall; A. J. Plummer; Sir Henry Acland; Charles Linley Wood, Viscount Halifax; William Jones, perpetual curate of Nayland; Frederick Meyrick; F. A. Dixey; Darwell Stone; Leighton Pullan; Hastings Rashdall; N. P. Williams; C. H. Turner; Howard Root; Tom Parker; E. L. Mascall; John da Costa (embargoed until 2015); Douglas Powell; the sermons of Derek Allen. There are smaller collections of papers of John Keble; Tom Keble; John Russell; J. J. I. Döllinger; Nugent Wade; A. P. Stanley, dean of Westminster; William Hale Hale, archdeacon of Chichester; Stephen Langton, Vicar of S. Mary's, Graham Terrace (Bourne Street); F. G. Croom; Lord Addington; W. S. Bricknell; Robert Gregory, Dean of S. Paul's; Vernon Herford; Vernon Staley; G. L. Prestige; H. J. Riddlesdell; Lionel Bartleet; Silas M. Harris; Robert Scott; E. O. James; Sandys Wason; Canon Frederic Hood; Flora Abigail McCloud; Stella Aldwinckle; G. V. Bennett; Cheslyn Jones; Kenneth Cragg. The societies whose papers are held include the Society of the Holy and Undivided Trinity with those of Mother Marion Hughes; the Society of the Holy Trinity (held at Ascot Priory) with those of Mother Priscilla Lydia Sellon; the legal committee records of the English Church Union, papers of the Association for the Promotion of the Unity of Christendom; Federation of Catholic Priests; Community of the Reparation to Jesus in the Blessed Sacrament; A. R. Mowbray and Sons Ltd; Christian Social Union, Oxford Branch; Friends in Council; Guild of S. Alban the Martyr; Society for Reunion (Oxford University); Anglo-Catholic Society; Association for the Furtherance of Christianity in Egypt; Society of the Holy Spirit; North Berkshire Clerical Association; Central Society of Sacred Study: the Confraternity of Unity (including the papers of Canon Donald Rea and papers relating to Holy Cross Convent, Haywards Heath), The Society of Mary, The Society of the Holy Cross (SSC). The Hall collection of photographs is unique. It comprises 2,300 photographs of 19th century clergymen, most of whom were connected with the Catholic revival, and almost all the bishops of the Anglican communion between about 1870 and 1890 are represented. A catalogue is available. There are other photographs and pictures. There is a collection relating to Dr Pusey and his family; another covering the life and work of the House; and another of more general Tractarian interest. In January 1994, material from Liddon House was deposited in the Archive. This included Liddon's diaries, travel journals, letters from Walter Kerr Hamilton and Samuel Wilberforce. The Archive holds runs of Crockford, complete from 1896, and runs of the Church Times. The records of the House itself include Governors' and Chapter minutes, Term Cards, photographs, drawings of the buildings made for Temple Moore and papers relating to the 150th anniversary celebrations of the Oxford Movement.